Everyone who joins a frequent flyer program hopes to use their points to fly in the front of the cabin in first class. But if you don't use those miles before they expire, you could only be left with empty dreams of what could have been. Do you know when your frequent flyer miles and hotel points will expire? Did you know you can keep them alive with simple activities? By knowing the rules of your favorite programs, you won't lose out on the value of a single point. When do my Points and Miles Expire? Every hotel loyalty program has different activity requirements for expiring points and miles. Here are the activity requirements for America's biggest airlines and hotel loyalty programs. Air Canada: Aeroplan miles will expire if you do not earn, redeem, donate or transfer miles in 12 consecutive months. Alaska Airlines: Alaska Mileage Plan miles do not have an expiration date. But if your account is inactive for two years, Alaska could close your account. If that happens, you have one year to reclaim your miles by paying a reinstatement fee. American Airlines: American Airlines AAdvantage miles expire if account has been inactive for 18 months. Delta Air Lines: For most flyers, Delta Air Lines' SkyMiles will never expire. As long as your account is open, you can earn award miles every time you fly with Delta or their SkyTeam partners. However, Delta can close your SkyMIles account and void any miles if fraudulent activity occurs, you request account closure, you don't respond to Delta communications about your account, or upon your death. Frontier: Travelers have to use a Frontier credit card, earn miles or redeem miles at least once every six months in order to ensure the miles they accumulated don’t expire. Southwest Airlines: Rapid Rewards points won't expire if you earn points through flights or partner opportunities once every 24 months. Spirit: Spirit Airlines’ FREE SPIRIT miles expire three months if there is no activity in your account. As long as you earn miles every three months, you will keep them. But if there is no activity, miles expire three months after earning them. United Airlines: United MileagePlus miles expire 18 months from the last account activity date. if your miles do expire, you can either pay a fee to reinstate them or complete a reinstatement challenge. Choice Privileges: As long as you are a Choice Privileges member, your points will not expire. However, you must have at least one qualifying activity in your account every 18 months to maintain your status and keep your points. If you do not, your points will be forfeited. Hilton Honors: Hilton Honors points don't have an expiration date. But if you have no account activity in 12 months, your points will be removed. World of Hyatt: If your account is inactive for 24 months, you will forfeit all of your World of Hyatt points. But your account will stay open, so you can continue to earn points and status after expiration. La Quinta Returns: La Quinta Returns points will not expire if you earn or redeem points at least once every 18 months. Marriott Rewards: Marriott Rewards points will expire if there is no new account activity in 24 months. Activity includes qualifying points earning or redeeming points. Radisson Rewards: Your Radisson Rewards points won't expire as long as you earn or redeem points within a 24-month period from your last qualifying activity. Wyndham Rewards: Wyndham rewards expire either four years after they are deposited into your account, or if your account is inactive for an 18-month period. American Express Membership Rewards: As long as your account is open, Membership Rewards points won't expire. However, if your account is closed and you still have points, those points could be forfeited. Chase Ultimate Rewards: If you have an open and active Ultimate Rewards earning card, your Ultimate Rewards points won't expire. When your account is closed (either voluntarily or by Chase), your Ultimate Rewards are immediately forfeited. Citi ThankYou Points: Unlike the other two credit card rewards programs, Citi ThankYou Points expire three years after they are earned. If Citi ends the ThankYou Points program, all members will have 90 days to use all of their points. How do I Keep Points From Expiring? In most cases, frequent travelers who are loyal to one or two brands won't have any problems keeping points alive. By staying at a hotel once every two years, or flying once every 18 months, you can keep your points active and maintain your accounts without issues. But if you can't make the minimum activity requirements, there are a lot of ways to keep your account open and active. From dining out to completing surveys, you have many options to keep points active until you can use them for your dream vacation. The easiest way to keep all of your accounts alive is using a points-earning credit card with your favorite airlines and hotels. By making your everyday purchases with branded cards, you can earn points with every swipe and keep all your accounts active. On the downside, most rewards credit cards come with an annual fee. If you don't get enough value from the card's benefits and reward points, then it could make more sense to earn points through another way. You can also keep your loyalty accounts active by converting points earned from loyalty cards into miles. For example, American Express Membership Rewards allows customers to turn 1,000 points into 1,000 Aeroplan miles (Air Canada’s loyalty program). Similarly, Marriott Rewards gives customers the option of exchanging 8,000 points for 2,000 United MileagePlus miles or 10,000 points for 2,000 Southwest Rapid Rewards miles. Each of these count as a qualifying activity, ensuring your points and miles stay active. Perhaps the quickest and easiest solution when facing expiration is to buy miles and points. It’s a simple way to reach an award goal and turn that vacation from fantasy to reality, reaping the benefits of your hard-earned rewards. Keep watch for promotions in your favorite programs to stretch your dollar way farther and earn up to 50 percent more points, which can triple your rewards. which doubles, even triples, your rewards. On the downside, buying points is often more expensive than earning them from your everyday spending or even traveling. At most airlines, buying 1,000 miles costs 2.95 cents per mile -- which may be more than you can redeem them for. Be careful to only buy as many as you need to keep your account active. Another very easy way to earn points and miles is to shop through their loyalty program’s partners. American Airlines loyalty program members earn miles every time they shop with one of the 850 retailers the airline is partnered with. The earnings aren’t just limited to retailers either. Members of select airline frequent flyer clubs can also earn up to five miles for every one dollar they spend when they link a credit card with their dining rewards program. If spending your way to more points isn't working for your situation, you can always take surveys to earn extra points. 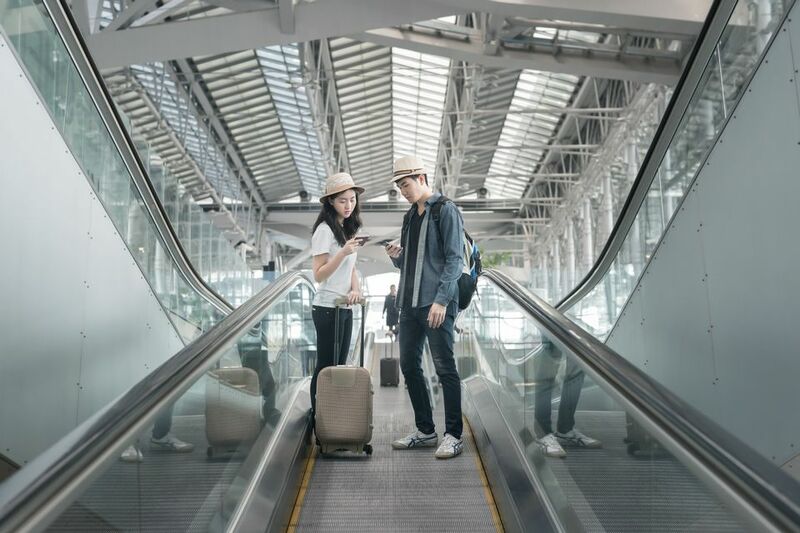 Both eMiles or e-Rewards lets you take public opinion surveys on a number of topics to earn extra miles in several airline and hotel programs, giving you a free extension on your rewards. The only problem with this method is that you will take a lot of surveys before you can turn those rewards into airline miles. Moreover, you may not qualify for every survey they offer. If you are under a time crunch, this may not be the best option for you. Finally, you can avoid inactive account penalties by donating some of your points to charity. Nearly every airline or hotel loyalty program will let you donate your miles or points to select charity partners, like the Make-A-Wish Foundation. Those partners will then use miles to help reduce travel costs for completing wishes. Even if you can't fly or stay at a hotel anytime soon, you can still keep your miles and save them for the right redemption. By using one of these methods, you can make sure every account stays active and you can use every single point.